This outstanding candidate is an Operations Excellence and Business Transformation leader. He has implemented Lean Six Sigma with senior leaders at GE Capital, Caterpillar, Coca-Cola, GM, Novant Health and others. 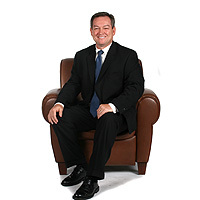 He works hands on to continually improve the business and mentor leaders to be successful. Now he wants to drive business transformation as part of an internal leadership team. Organization: Please reach us for these details!